Building a tack room allows you to create dedicated space for all your horse care necessities. This will allow you to spend more time with your horse, as you won’t be wasting time digging through a horse stall stacked full of supplies. Here’s why you need a tack room for your new horse barn. 1. Access what you need when you need it. When you build a tack room, you create dedicated space for all your horse care necessities. And because you have what you need when you need it, you get to spend more time with your horse because you’re not wasting time moving supplies from the house or shed to the barn. 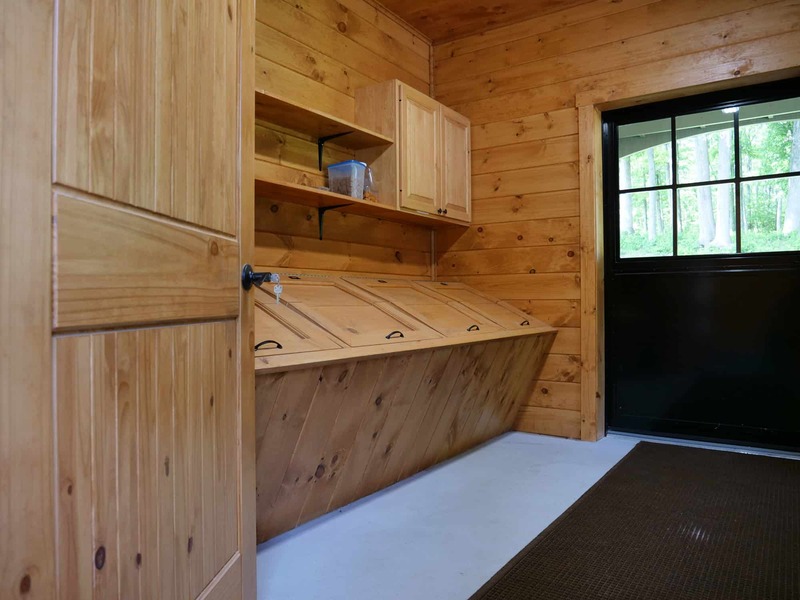 The tack room is also a smart place to keep amenities that make horse care less of a hassle. Consider including room for nice-to-have items, like a washer, dryer, mini fridge, or dehumidifier. Learn How to Build a Tack Room the Right Size the First Time. 2. Organize what you need so it’s easy to find. 3. Safely store cleaning supplies and medications. The tack room for a new horse barn is a good place to store barn and tack cleaning supplies safely—just as you would in your own home. You can also store equine medications if you consider their storage needs. Many medications need to be stored in a climate-controlled environment, which means you may need to make room for a mini-fridge. Another option is to build a tack room that includes reliable heating and cooling sources. 4. Make caring for your horse less of a hassle. Even the most ardent horse lover knows firsthand that caring for an equine companion is easier on some days than others. For example, you can design a tack room that stores heavy items in a convenient location that reduces the need for straining, reaching, and lugging—and that can help reduce the risk of injuring yourself. Another tack room design idea for easier horse care is to set up a cleaning station to keep supplies, like toothbrushes or cleaning spray, on hand to tackle dust, dirt, and horse slobber. Design a tack room right the first time. The best-designed tack rooms are as different as the people who use them. The tack room layout that works so well in your neighbor’s barn may not be the best design for you. Work with your horse barn builder to design an efficient room that fits your needs so you can better care for your horses. At Quarry View Construction, we’ll work closely with you to design a horse barn with a tack room that factors in your needs, budget, and timeline. Contact us for a no-hassle consultation.